A couple months ago I came across a pin on Pinterest that lead me to a blog about refashioning clothes. It was a 365 project. That’s a lot of redoing clothes. Well, it was very inspirational. Most of the clothes were ugly thrift store finds that were turned into cute clothes. I love thrift stores and all the treasures you can find there. So, a few weeks ago when I was there I came across some dresses. They were too big for me, but I liked the patterned fabric. My oldest is always asking for skirts and things, so I decided to refashion the dresses into skirts for her. I finally got around to doing one. 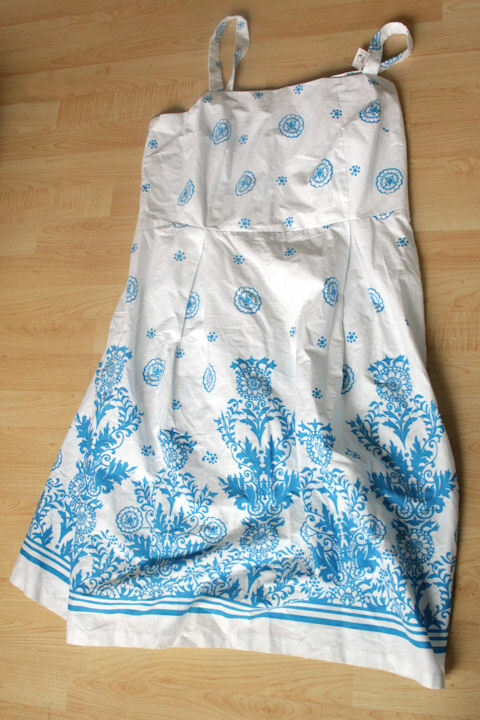 This dress was a size 17, had smocking on the back and a zipper down into the skirt part. Needless to say, it didn’t fit me, but it was cute. 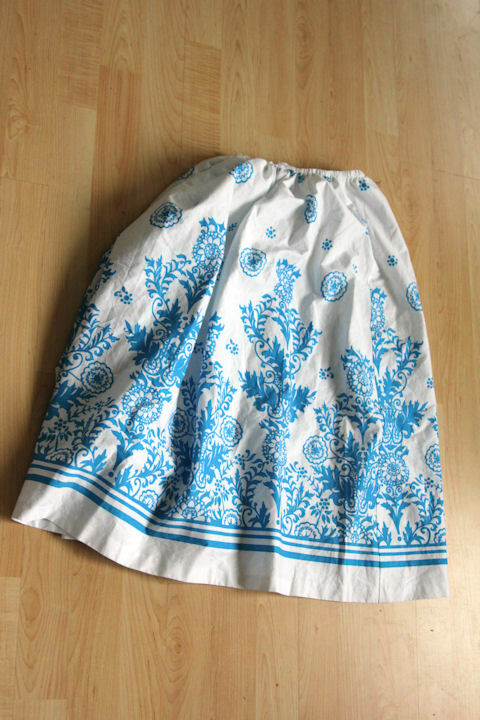 And here it is as a skirt. Since there was lots of fabric around, I just cut off the top, made a casing and added elastic. I kept the zipper, but with the elastic I didn’t really need it, but it doesn’t hurt to have it anyway. 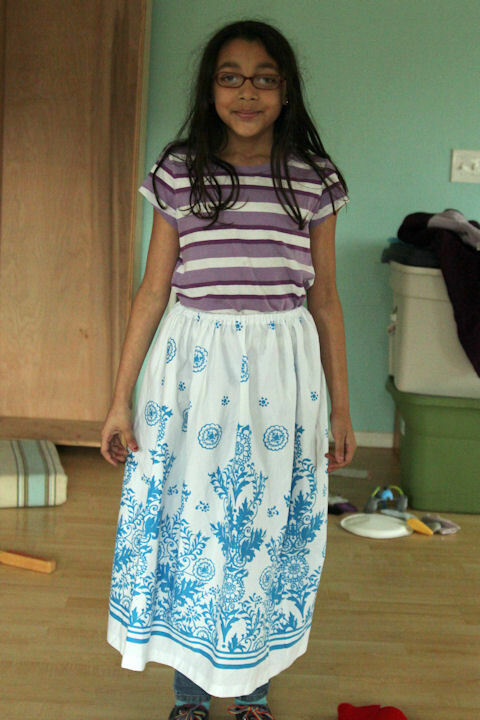 My daughter likes longer skirts, but seeing it on her I think I might take up the hem too. So maybe I’m not quite done with it.